Thank you to everyone who participated in the contest on my blog and throughout the blog tour last week. It was an amazing experience. Congratulations to the winners of my various contests! You should have all heard from me about your prizes by now, so if you haven’t shoot me a note. Thanks again for playing along last week. I appreciate it. This entry was posted in Doxology. Bookmark the permalink. ← Doxology Blog Tour Giveaway Event! congrats to ALL the winners, YAY for so many great prizes!!! Enjoy each of them and thank you Brian for your generosity Pray your book continues to do well and that many more opportunities come your way. Have a wonderful week and thanks again! Thanks Kara, it was a lot of fun and I have a lot of new contacts, plus some nice people who won prizes. 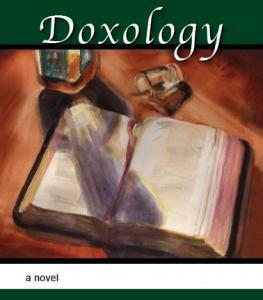 I can’t tell you how excited I was to learn my review of Doxology was selected as Best Blog Entry. All that, in addition to the chance to read an excellent new book. I do hope you’ll drop by and let me know when your next book is coming out. Congratulations on your very successful Whirlwind Tour.